Welcome to our “novel” farm! We are a small, family owned micro farm on 4.5 acres in Greenwood, IN. Our main goal when we created Novel Farm was to live a simple lifestyle and draw closer to God through interacting with His creation. As our family has grown, we’ve enjoyed sharing the wonders of God’s creation with our son. There is nothing better than watching him go into the market garden and pick his own food. Carrots and kale don’t last very long when he’s around! 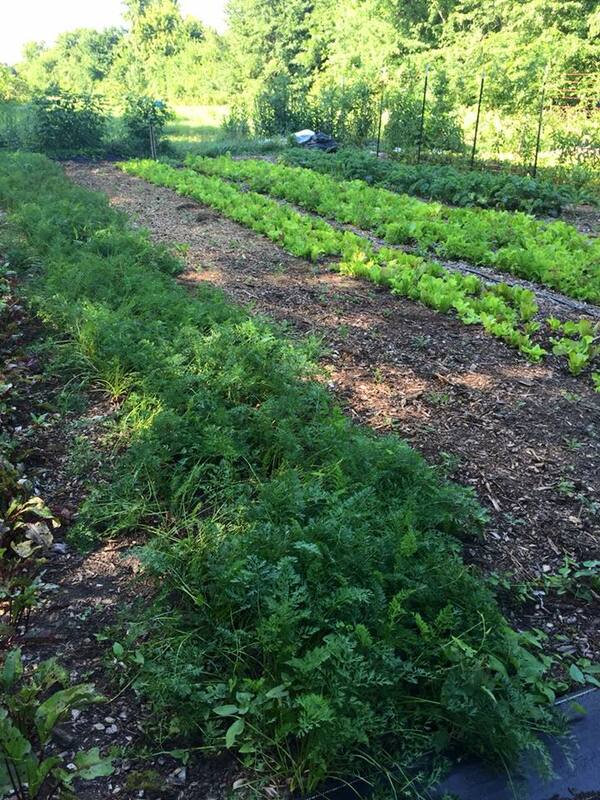 We strive to grow natural, no-till, and nutrient dense produce for those interested in eating well. Our main crop is salad greens, but we also grow root vegetables, tomatoes, cucumbers, peppers, as well as many other vegetables. 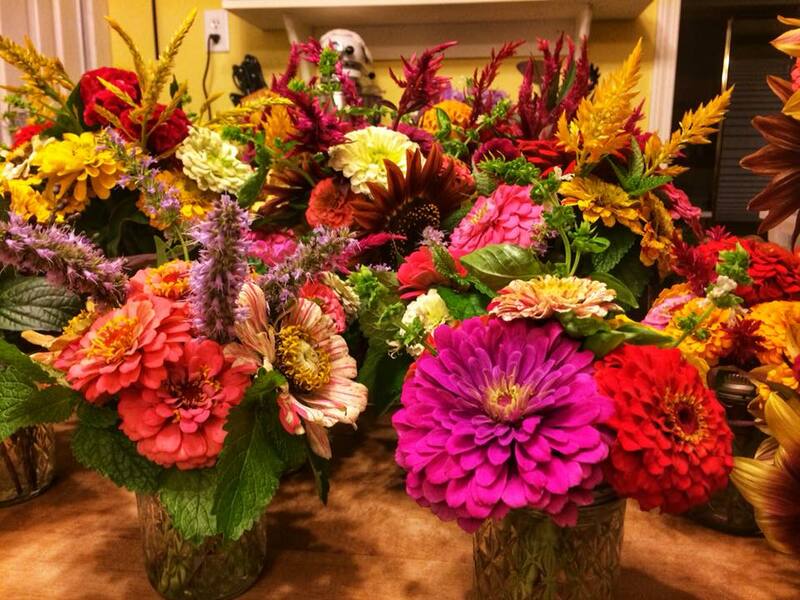 In addition to these crops, we grow a mixture of heirloom flowers to encourage pollinators. The excess blooms are used to create beautiful bouquets. 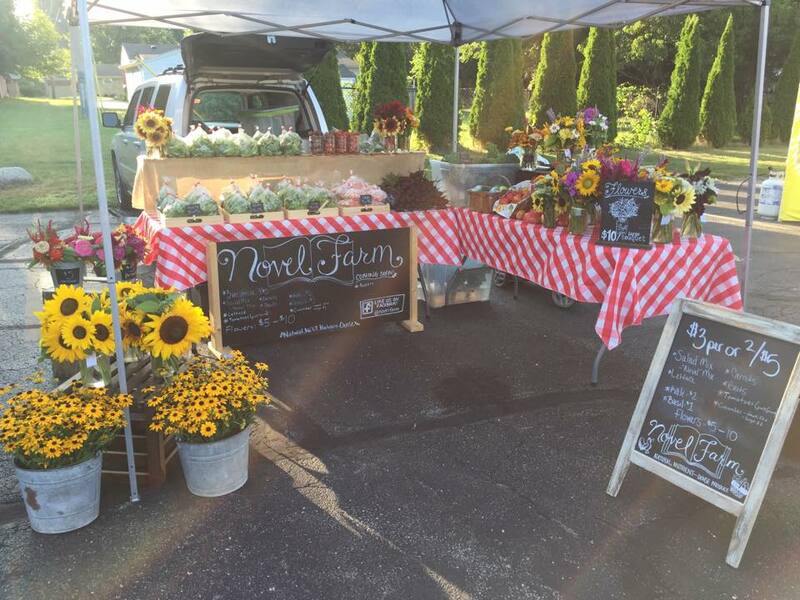 In 2018, we began selling produce at the Greenwood Indiana Farmers Market. It didn’t take long for Dustin to become known as “the salad guy” by many of the vendors and customers. We try to grow heirloom seeds whenever possible to preserve their history. The phenomenal flavor of these older varieties always amazes us. Although we still have a lot to learn, we love sharing the knowledge we’ve gained over the years with others. We take a unique approach to growing our produce. Our small scale gardens allow us to manage everything by hand. Permaculture and a return to common sense inspired us to adopt a more natural approach to farming. Instead of tilling, we cover our soil with wood chips. 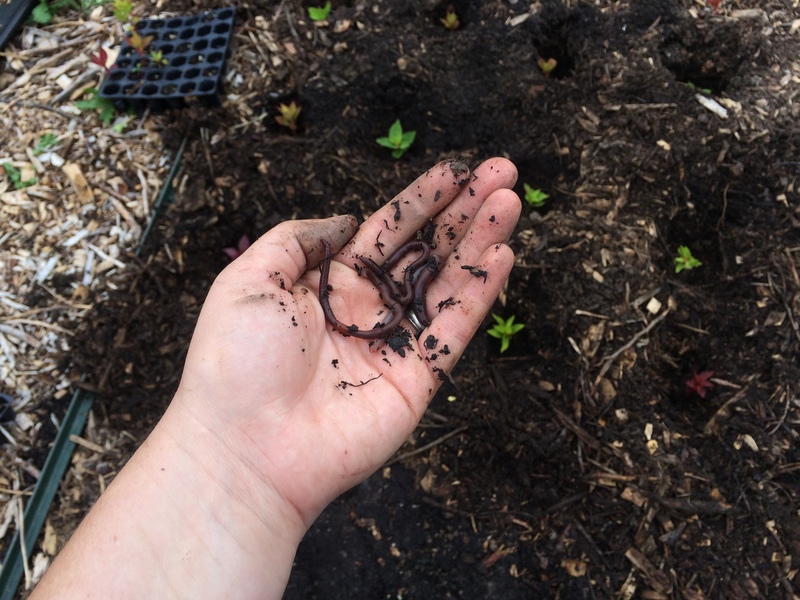 When it’s time to plant, we just move the wood chips aside. We don’t have to worry about the ground being too wet to till or other considerations that come into play in the early spring. 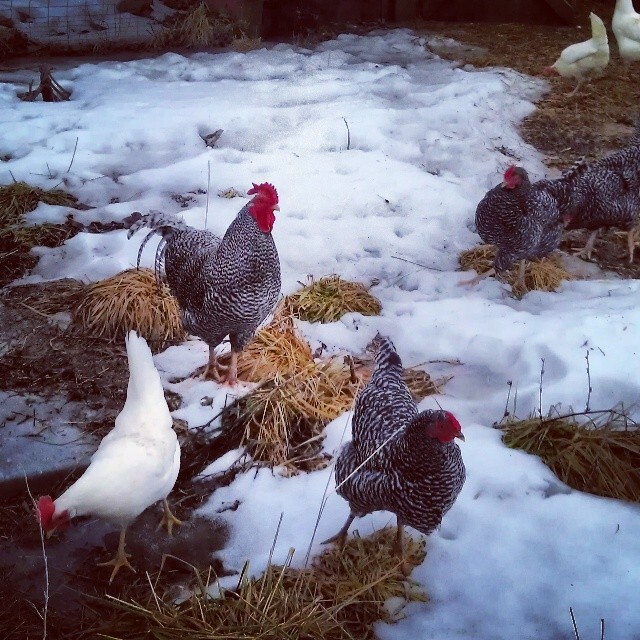 It took us a few years to decide what homesteading adventures we wanted to pursue. Our efforts began with three Dominique chickens or “dominickers” as the old-folks call ‘em. These barred chickens are also known as the “pilgrim fowl” and many consider them to be America’s first chicken breed. Gardening was a natural next step in our farming journey. We planted our first “Back to Eden” garden the year after we got chickens. This is a no-till method that involves applying a covering, preferably wood chips, to protect the ground. Research has shown tilling your garden causes more problems in the long run than benefits. Our son was born in the summer of 2016, so gardening took a back seat as we adjusted to the newest member of our family. During some of the late nights and early mornings of caring for a newborn, Dustin came across farmers Curtis Stone and Jean-Martin Fortier. After reading their books and listening to interviews on podcasts, we realized the possibility of growing a market garden. 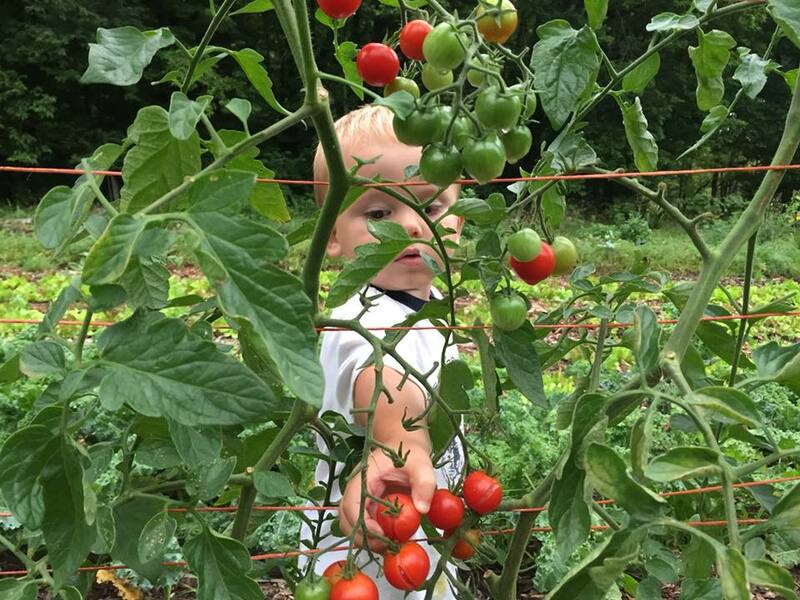 Dustin spent the majority of 2017 learning the ins and outs of a micro-farm. This included hours of research and watching over 200 YouTube videos, not to mention experimenting with different growing and harvesting techniques in our home garden. Novel Farm finally became a reality in 2018. We encourage you to stick around and become a part of our newest adventure!